Experts predict gold to reach $1,400 an ounce sometime this year. 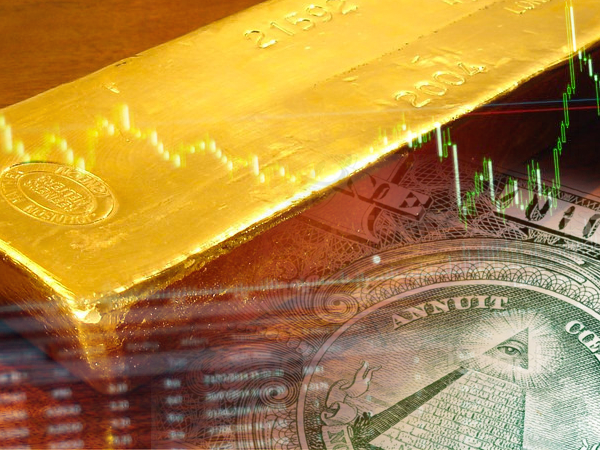 Gold is ready to ascend to $1,400 according to a recent article on Newsmax should a pair of factors collide in the coming months. The first factor would be a continued fall in the dollar, which recently dropped to its lowest level since 2014 via the Bloomberg Dollar Spot Index. Although the greenback has been sliding since December, it was Treasury Secretary Steven Mnuchin’s comments at the World Economic Forum in Davos that pushed it over the edge. The article notes that, while President Trump’s talking points were the most widely followed at the forum, Mnuchin’s might have had the most immediate impact on the markets. The Treasury Secretary openly endorsed a weaker dollar and called it good for U.S. trade, a stance backed by Commerce Secretary Wilbur Ross who said that the U.S. would focus on protecting its exporters. To Stephen Innes, head of trading for Asia Pacific at brokerage Oanda Corp., these comments confirmed that the dollar will continue declining, along with an assurance of further gains for gold in the short term. Adding to the dollar’s weakness are expectations that central banks around the world, such as the European Central Bank and the Bank of Japan, are inching towards monetary tightening says the article. The Singapore-based trader added that “we’re getting into a structurally weak dollar, and on a macro level, we could be moving into a cyclical bear market beyond 2018.” With this in mind, Innes sees $1,400 an ounce as a realistic goal for gold in the next two months. The other catalyst the article notes that would allow gold to hit levels last seen in 2013 would be a correction in the still-soaring stock market. The metal surged 10% since mid-December over fears of a reversal in equities, along with worries over the dollar’s position and a potential upswing in inflation. It rose to $1,365 on Thursday, the highest level since August 2016, as funds saw an explosion in bullion holdings and money managers doubled their bullish bets on gold since last month. Analysts at Australia & New Zealand Banking Group Ltd. (ANZ) see gains for the metal this year. After holding current price levels for the first half, the article writes that ANZ predicts the metal will soar to $1,400 towards the end of the year. Gavin Wendt, senior resource analyst at MineLife Pty, expects gold to reach $1,400 in 2018, adding that a weaker dollar could help manage both U.S. trade and the country’s escalating debt. Other precious metals also started the year on a positive note. Silver climbed 0.9% to reach $17 an ounce, its highest level in four months. Meanwhile, platinum’s 0.9% gain brought it to $1,024 an ounce, the highest since March 1.